President Trump took to Twitter (as ever) last night to give his thoughts on the US/China trade war in the wake of the recent meeting with China’s President Xi. The US President declared himself a ‘Tariff Man’ in a move that rocked investor confidence and tanked the Dow Jones by 799 points in yesterday’s trading, with many of those investing in the stock markets fearing that the US wasn’t as close to a deal with China as Trump had initially said on Sunday. According to Peter Navarro, one of Trump’s advisors, the comment was meant as a homage to former US President William McKinley, who also declared himself a tariff man during the 1896 presidential election. 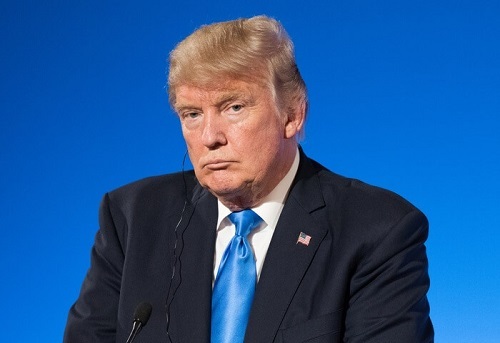 Unfortunately, this obscure reference – for all it might make Mr Trump seem knowledgeable – has now alienated a lot of investors who were starting to regain confidence. The tech-heavy Nasdaq fell by 3.8%, with shares in Apple, Alphabet (Google’s parent company), Amazon and Netflix all being punished with 4-5% share devaluation. The broader S&P 500 fell by 3.2%, and their own indices reported that nearly $800 billion had been wiped from its market value in Tuesday trading. The Dow Jones lost 3.1% of its total value yesterday, with its worst point being 818 points down. Trump’s tweet triggered the fourth biggest point decline for the Dow in history, and while some journalists have argued that this isn’t significant in terms of a percentage lost, it is rather telling that all four of the largest single-day declines in the Dow Jones have been while President Trump was in office. The trade war is still a huge issue for US – and global – investors, with uncertainty at the heart of it all. The reactionary responses of big investment, rapid selling is destabilising consistency in the US economy, as well as the tariff impacts upon supply chains. The US Treasury Secretary Steven Mnuchin was at a Wall Street Journal conference in Washington recently and said: "The market is now in a wait-and-see”. Despite declaring himself the Tariff Man, President Trump still hasn’t grasped that the tariffs he has imposed are paid for by American consumers, rather than Chinese producers. China suffers from reduced exports admittedly, but it is Trump’s own people that are paying the price. Someone should explain to Tariff Man how tariffs work. These costs are passed on directly to *American consumers*, it's basic economics. The "billions" are paid by Americans. To add insult to injury, the gap between the 2-year and 10-year Treasury yields shrank yesterday to the smallest since the 2008/2009 recession, while the 3-year and 5-year yield curve has now inverted. What this means is that more risk is associated with short-term lending, which is usually the more reliable option, and this has generally been an accurate indicator of economic strength and prosperity – or a lack thereof. With the yield curves are inverting or near inversion, and the price of gold rising to $1,236 (a gain of $23 per ounce in the past week), it’s no surprise that people are mentioning recession and questioning the performance of major economies like America’s. Unfortunately, all investors can do is – like Secretary Mnuchin said – wait and see.